Touch of Ginger was asked by RIBA to submit design concepts for the prize back in October 2016. As a sister award to the famous Stirling Prize for British architectural achievement, the brief called for a design with presence and gravitas. December 2016 saw the hosting of the inaugural Royal Institute of British Architects (RIBA) International Prize, a prestigious award aimed at setting a new global standard for architectural achievement. The Universidad de Ingeniería y Tecnología (UTEC) in Lima, designed by Grafton Architects became the first ever recipient. Touch of Ginger was asked by RIBA to submit design concepts for the prize back in October 2016. As a potential sister award to the famous RIBA Stirling Prize for British architectural achievement, the brief called for a design with presence and gravitas. From the outset we wanted the design to possess a sleek and contemporary architectural form. We opted for a minimal triangular extruded profile with crisp and precise vertices. The cross section is not a regular triangle but one with three sides of varying lengths. The top surface is sliced at an angle to complete the form. Like the Stirling Prize this one will be awarded annually with a new recipients name laser engraved each year. The engraving area is defined by the sand blasted region covering one third of the base so winners names can wrap around all three faces. We are pretty sure this should be the caption to the image at the awards ceremony. 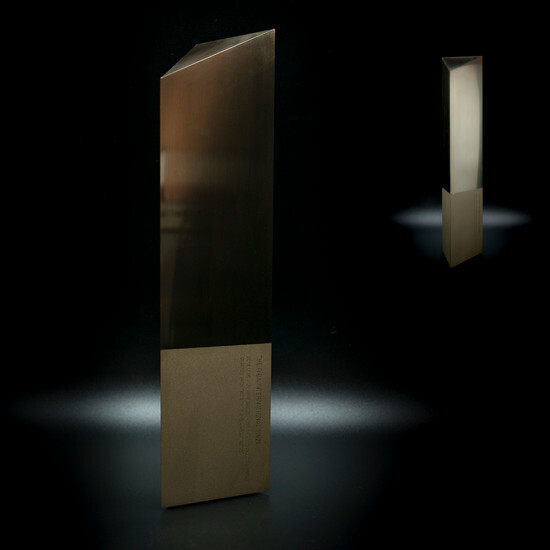 No surprises; to achieve the crisp mirror polished obelisk, we opted to CNC machine the trophy from a solid billet of brass. It’s a reassuringly heavy piece! 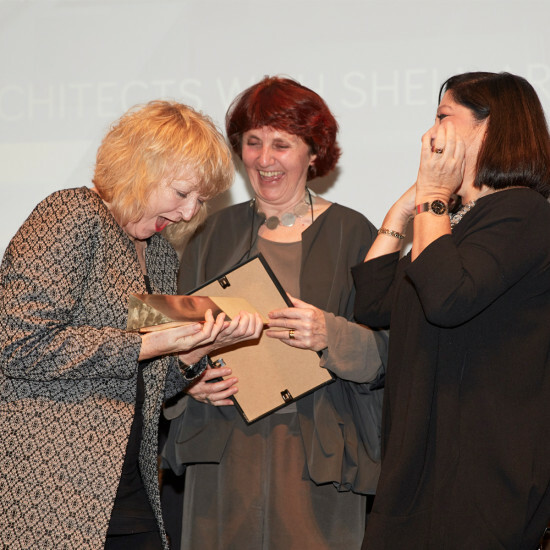 Receiving the award are Yvonne Farrell and Shelley McNamara, Directors of Grafton Architects. Jane Duncan, President of the RIBA is clearly enjoying the moment. Touch of Ginger is proud to have been asked to design the RIBA International Prize. 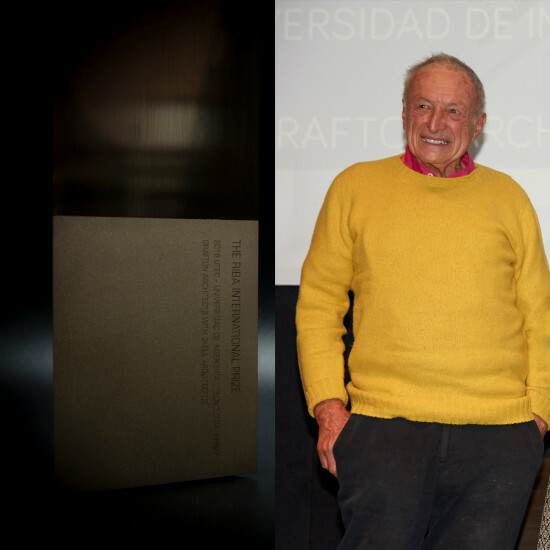 This years prize was judged by a grand jury chaired by world-renowned architect, Richard Rogers. The names that will appear on the trophy in the coming years will represent the movers and shakers of future global architecture.